You are currently browsing the category archive for the ‘Irish’ category. A note to my readers who have enjoyed The Cyber Miracles and A Sudden Gift of Fate: I am now framing the story for the third book in this series. Yes, more of Maeve, Andy, Fergal and Brídgeen. And maybe some characters you don’t like will return to stir things up. Expect this novel late in 2011 or early 2012. In the meantime, I plan to release my third novel, 317, sometime this summer in e format first (Kindle, Nook, iPad, iPhone, etc.) While it has Irish themes, it will be different from the Maeve Kenny Series. In 2011, look for my fourth novel, The Terminal Diner, to be released in paperback. Again, this book (influenced by my experiences on 9/11) will be much different from my first two novels. It has some characters that I think will tug at your heart as strongly as the ones in these first two books. 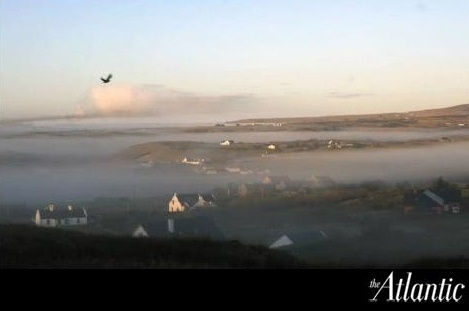 The Atlantic Monthly has a video that will give you a nice sense of Doolin, County Clare, Ireland, where my novel opens. Have a peek here. 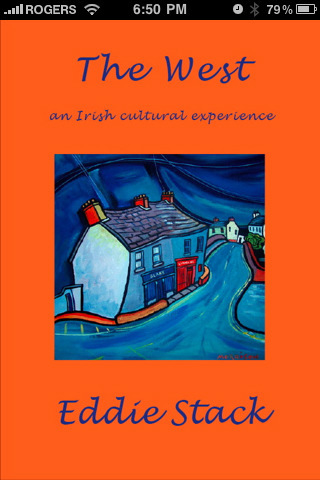 Irish author Eddie Stack (who helped me give an accurate County Clare flavor to my novel) cuts the edge of literary technology today by launching his collection of terrific short stories, “The West,” as an iPhone app. The app includes Eddie reading his works and music by trad greats Martin Hayes and Dennis Cahill. Learn more at the Apple iPhone app store. It’s an incredible bargain @ $1.99! I recommend highly this book that captures vividly a certain time in the West of Ireland, with characters whose desperate, insular lives will haunt you. Saddened to hear about the passing of Liam Clancy, the last surviving Clancy brother. The Clancy Brothers, along with Tommy Makem, introduced most Irish Americans to real Irish music, not what we’d been raised on from Tin Pan Alley tunes. Liam was a superb singer, more on the line of a seánchaí. He and his brothers had quite an impact on my brother and I as performers. Also, the first words in Gaeilge I ever heard were at a Clancys concert. It is, sadly, the end of an era for Irish folk music. RIP Liam. Ar dheis Dé go raibh do h-anam.